Hotel Magnifico v Řím, Itálie: Zarezervujte nyní! 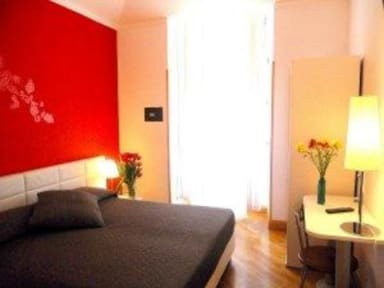 The exclusive Luxury Guest House Magnifico Rome offers comfortable highly satisfying budget guest house accommodation right in the heart of Italy’s Eternal City on Via Nazionale, one of the main arteries of Rome near to the central transport hub of Stazione Termini. At the Luxury Guest House Magnifico Rome guests can experience residing in an authentic 18th century Italian palazzo and immerse themselves completely in the rich culture and history of Rome.